Since the late 20th century, frozen embryos became a solution for infertility and have been increasingly used as time goes on. However, divorcing couples with frozen embryos may also face unique legal challenges. The first successful in vitro fertilization (IVF) took place in 1978. However, due to the fact that more embryos were often fertilized than could be implanted within the necessary time, researchers developed embryo cryopreservation (or frozen embryos) as a way to preserve the embryos for future babies. The first baby from a frozen embryo was born in 1984. As of 2008, an estimated 350,000 babies and 500,000 IVF babies have been born from frozen embryos. In 2006 a landmark case in Texas, Roman v. Roman established a precedent for what happens to frozen embryos during divorce. A lower court treated the embryos as community property and awarded them to the wife who wanted to implant them to have children. The husband disputed and appealed the decision to a higher court. The case went to the Texas Court of Appeals, and because no precedent had yet been set in Texas, the appellate court reviewed similar cases in other states to decide the case. A crucial case factor was whether IVF agreements were valid and enforceable. If the couple had agreed on changing the provision about the outcome of the frozen embryos, the court would have allowed them to modify the IVF agreement. However, the IVF agreement stated that the embryos would be destroyed in the event of divorce. Even though Augusta Roman was willing to have her husband be relinquished of all parental rights and responsibilities, her husband Randy wanted the initial agreement upheld and to have the embryos destroyed. The appellate court ruled in 2006 that the IVF agreement was valid and enforceable. According to Mercury News, in 2015, a San Francisco court upheld an IVF agreement that stated embryos would be destroyed if the couple divorced. In this case, the wife Mimi Lee discovered on the eve of her wedding that she was diagnosed with cancer. 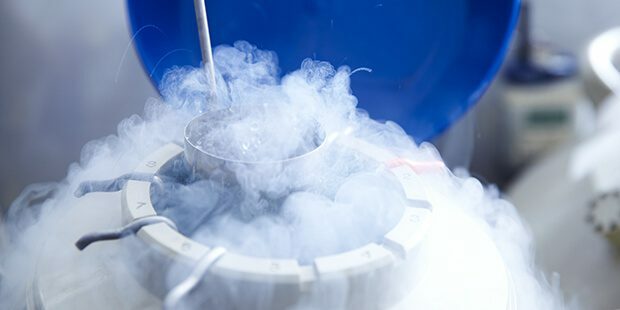 The couple rushed to an infertility center and had five embryos cryogenically frozen. Both signed an agreement that the embryos would be destroyed in the event of divorce. Lee was rendered infertile by cancer treatments and subsequently changed her mind about destroying the embryos. She wanted the embryos to be preserved for possible future children. The husband Richard, Findley, contested, and the court upheld the IVF agreement as enforceable. At C.E. Borman & Associates, we can help you with whatever divorce issues you’re facing and provide you with sound legal guidance. For a couple going through a divorce without a contract and are in disagreement over the future of the frozen eggs, the path can be much more difficult.